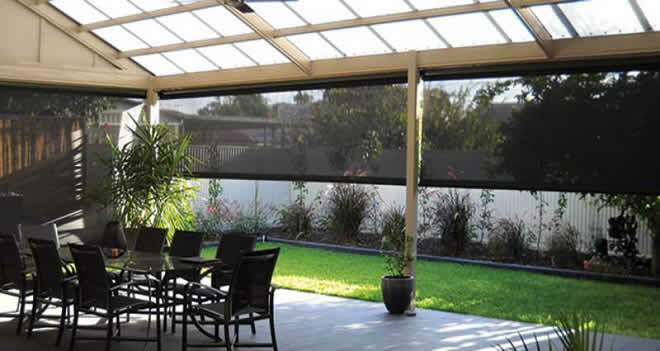 Outdoor shade blinds can improve a pergola, verandah or deck to no end. Because they are such a beneficial addition to a comfortable outdoor lifestyle year-round, it is important that they are properly maintained to ensure a satisfying product lifetime. Caring for outdoor shade blinds requires even less effort than clear PVC blinds, and is relatively straightforward. Outdoor shade blinds carry less risk of being scratched or clouded by poor handling. But they still need regular upkeep to ensure they last well into the future. When you first get your Bella Vista blinds, they may have loose threads along the outer weld. This is perfectly normally and they will fall off in time. Tips on how to make your outdoor shade blinds last longer. 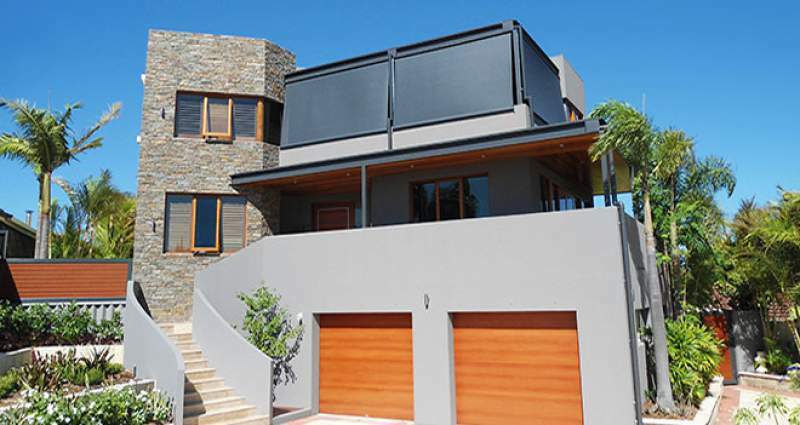 With Australian Outdoor Living’s range of outdoor shade blinds, we provide a winding mechanism that makes extending and retracting the blinds a simple process so that you can arrange your blinds up or down, as you like and when you like. (We are also able to install “half-hitch” anchor points so securing the blind halfway is an option too!). But there are times when i’s better to keep your blinds in a particular position to ensure safety and durability. Blinds are designed to be extended and it’s best to keep them in the vertical fixed position as much as possible. This allows the material to maintain its shape. Keep in mind that if your blinds are too tight, the material may start contracting or ‘wasting’ in the middle due to the tension. Simply loosen the tension slightly to allow the blind to fill out. When experiencing heavy gusts or high winds, it is vital the blinds are kept rolled up. If not, you may cause damage to both the blinds and potentially even your house/the frame they are attached to. This kind of damage is not covered under the warranty of and you will find that there aren’t many other experienced outdoor blinds suppliers who will cover this either. Remove any particles on the shade blind material to avoid scratches when wiping with a cleaning cloth. Wipe gently with a soft fabric cloth using diluted warm water mixed with a water-based cleaning detergent (one part detergent to ten parts water). Avoid hard scrubbing which may otherwise damage the surface of the material. Rinse completely with fresh water and wipe dry with a soft lint-free cloth or sponge. Allow to dry completely before rolling up. Keeping your shade blinds clean will ensure their durability. Mix a weak concentration of household detergent with lukewarm water (one part detergent to 20 parts water) Make sure you avoid detergents with solvents! Use a soft cloth or sponge to wash the fabric. Rinse off any residue with fresh cold water. Regularly tending to your shade blinds makes sure you’re getting the most out of the product. Prolonged neglect of your blinds could potentially result in damage to your blind/s material and shorten its life-span. But with a regular wash, you’re ensuring years of trouble free protection from the sun and the weather.